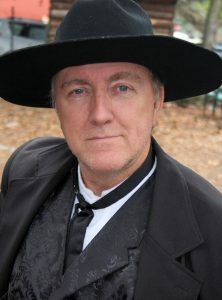 Gunfighters for Hire had lost a member that was ordained to officiate a wedding. After some serious consideration, we now have a new wedding officiant. Padre Warren G. was ordained through the Universal Life Church and focuses only on weddings and vow renewals. Western weddings can be a lot of fun especially when the groom thinks he doesn’t have to show up, can run off or if there is someone who may object to the wedding. Gunfighters for Hire can give your western wedding something that others may be missing: FUN ! Even if you got married out-of-state and just want to have a faux-wedding for friends or film works. ﻿For more information contact Padre Warren G using the form below. Please fill in the information requested below and submit.